Experience Box brings an amazing outdoor activity for groups interested in combining an adventure activity with a social responsibility element, in this case it consists in helping us protecting the environment. Our Respoponsible Canyoning activity is the perfect opportunity to help us clean the river and remove all the trash that might have been thrown in it. We will provide each participant with the equipment needed for the day (harness, wetsuit, helmet, gloves, trasj bags, etc). This activity will be guided at all times by one of our professional instructors, who will take care of you during the day and manage the cleaning contest, leading you to some specific river areas where the situation is sometimes more critical. The purpose of this experience is to clean the river as much as possible, removing all the wastes and all the possible trash in order to protect the environment. During the descecnt, you will swim through rock pools, caves, tunnels as well as slide down and clambering over the rocks. Wait no longer and contact us to get more information about this experience! 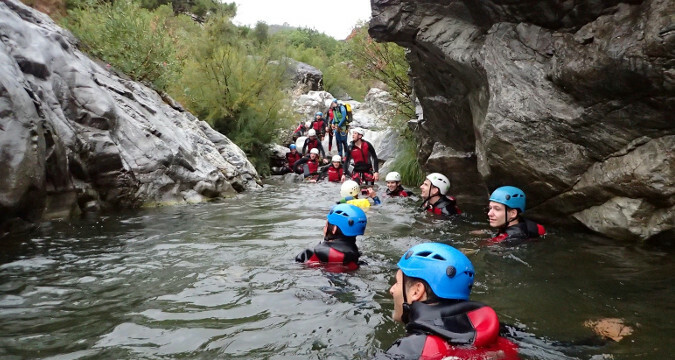 This is the perfect chance for groups staying on the Costa del Sol looking to experience a fun and adventure oriented activity as well as "give something back to Society" by protecting the environment at the same time. Have fun and clean as much as possible! 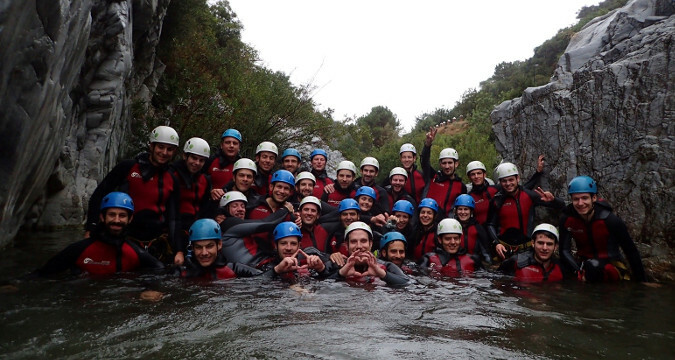 We will provide all the equipment required for the experience, including wetsuits, canyoning boots, etc.